– Provides fast & effective PTH suppression and Bone protection. Osteoporosis, osteopenia and low bone density for age have been shown to be a risk factor for progression in scoliosis. Low bone density for age can occur in those that are still growing. Nutrition focused on Bone support starts with protecting the Epigenome and reducing pro inflammatory cytokines which promote scoliosis progression in the growing spine, as well as degeneration in the aging adult spine with scoliosis. We strongly recommend an absorbable Vitamin D, with the necessary Vitamin K2 to direct the minerals into the bone, in the presence of Strontium Citrate, which has been shown to have a greater affinity for bone matrix than calcium. (Strontium Relenate is used in Europe as a pharmaceutical grade treatment for osteoporosis and has shown it can result in reversal of the condition). There were some risk factors for those with heart disease and is currently not FDA approved in the U.S.
Strontium Citrate on the other hand is a safe form of Strontium and can be a better solution for males (as compared with Calcium supplementation which increases risks of prostate calcification). Strontium Citrate has been shown to positively influence the biomarkers associated with slowing osteopenia. Peptan B contains 18 amino acids, the building blocks of our tissues and the primary component of proteins. Glycine, proline and hydroxyproline represent around 50% of Peptan’s total amino acid content; the glycine and proline concentration in Peptan is 10 to 20 times higher than in other proteins. As a result, Peptan offers health benefits that cannot be found in other protein sources. Peptan B has been scientifically proven to reduce joint pain and increase joint mobility. Genistein is an isoflavone that is described as an angiogenesis inhibitor and a phytoestrogen. Phytoestrogens are plant-derived xenoestrogens not generated within the endocrine system but consumed by eating phytoestrogenic plants. Also called “dietary estrogens”, they are a diverse group of naturally occurring nonsteroidal plant compounds that, because of their structural similarity with estradiol (17-β-estradiol), have the ability to cause estrogenic effects. 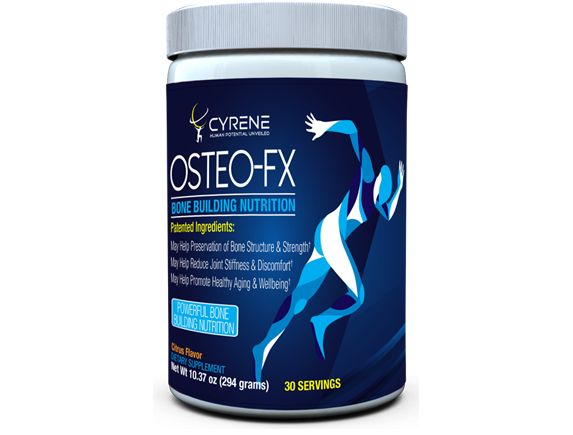 Phospholipids; OSTEO-FX is the only bone formula that uses neuroskeletal science behinds its products. It includes significant amounts of Phosphatidylserine and Phosphatidylcholine; both are phospholipids which contain amino acids (the building blocks for neurotransmitters), fatty acids (used in building healthy cell membranes), and Phosphate which support healthy bone matrix. This entry was posted on September 25, 2018 by Marc Lamantia D.C.. Copyright 2018 scoliosissystems.com. All rights reserved.